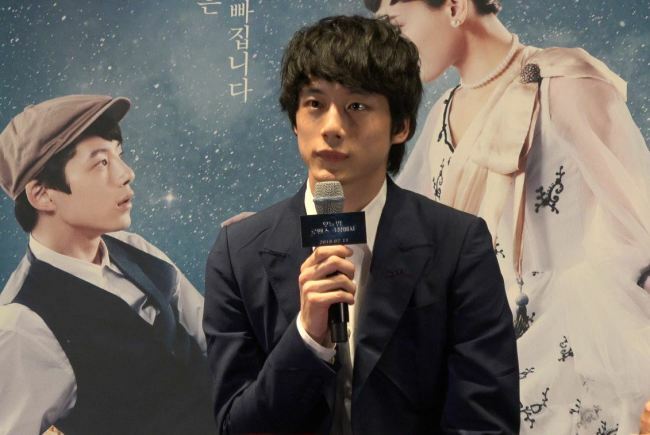 As Japanese movie star Kentaro Sakaguchi showed up at Gimpo Airport on Monday afternoon, J-pop fans in South Korea got excited, resulting in a storm of related posts on social media. Sakaguchi played the lead role “Kenji” of the romantic-fantasy film along with top Japanese actresses Haruka Ayase and Tsubasa Honda. 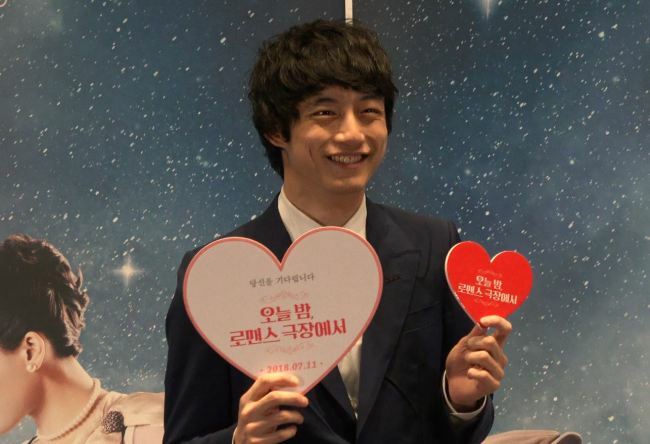 Sakaguchi garnered huge popularity among Korean audiences thanks to the common features he shares with Korean actor Seo Kang-joon. The movies such as “The 100th Love with You” and “Heroine Disqualified,” in which Sakaguchi starred, also helped him to rise to fame in Korea. As his movie promotion schedule in Korea was revealed Saturday, the title “Color Me True” topped the trending chart in Korea’s major search engines, with social media platforms plastered with fans’ joyful reactions. “I have been his fan for years, and I still can’t believe he is here in Korea now,” a Twitter user said. “I have always wondered when he would come to Korea, and today he is here,” another Twitter user said, sharing pictures of the actor entering the arrival gate at Gimpo Airport. After the press conference on Tuesday afternoon, Sakaguchi will go live on Naver V app’s “Movie Talk” at 6 p.m. and share his thoughts on the film with fans. On Wednesday, he will appear on stages after movie screenings and attend a hand printing event at Lotte Cinema World Tower in Jamsil, Seoul. The tickets that include Sakaguchi’s fan meetup event sold out in a minute after the opening, a testament to his popularity in Korea. “Color Me True” is set to hit local theaters on July 11.